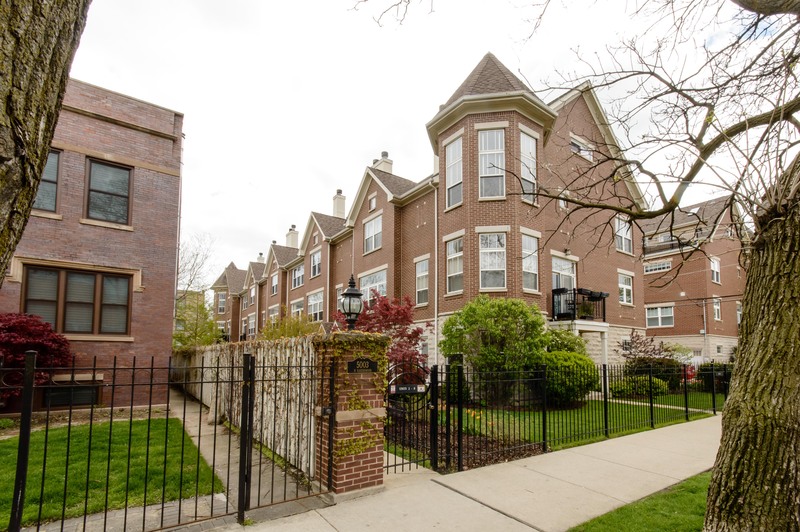 Beautifully updated Ravenswood/Lincoln Square town home lives like a single family. Ideally located on Ravenswood greenbelt, this extra wide, four level brick home features new kitchen, baths, hardwood flooring, custom blinds and closet organizers, lighting and more. 3 bedrooms, 2.5 baths, attached 2 car garage, yard, patio and deck. New kitchen features with all new cabinetry, granite counters and glass tile back splash, hardwood flooring, and lighting. Beautiful open living/dining room with oak built-ins and custom blinds. Private master suite features soaring cathedral ceilings and gorgeous all new bath, and bamboo flooring. Large second bedroom, and new 2nd bath with bamboo flooring. Dual zone HVAC. Top floor office/bedroom has a cedar lined closet, and opens to south facing deck. Ground-level recreation room and laundry. Fenced yard with newer patio is great for entertaining. Property on tree lined street has quiet, gated entry. 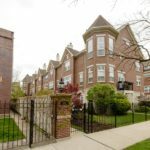 Two blocks to Metra, Mariano’s, LA Fitness, and close to Lincoln Square and Andersonville shops and restaurants.